For whatever reason, October is insane every year, so I was glad to see it go. Sarasota is full of events year-round, but the month of October is extra busy. Some of the snowbirds are just starting to arrive for season and the weather is usually getting a little cooler (although, not this year), so organizations really ramp up fundraising efforts. And that means my iPhone calendar has a bunch of those little dots on each day. BUT I always have a little extra time for new beauty products, always. About a week ago, I was running out of my undereye concealer, so I headed over to Sephora.com. That's the impetus behind this blog; more on that in a minute. But first I have to rave about this concealer, because it's my favorite and I've been using it for years and years. I highly recommend it, especially because it does not crease. I repeat it does. not. crease. 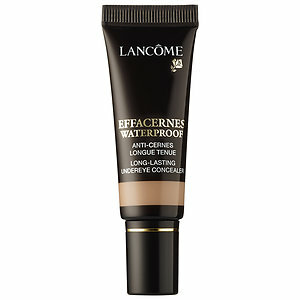 I use it in the Porcelaine 1 shade, which is lighter than my skin color so it does double duty as a highlighter. After I popped this in my cart, I was clicking around on the website and trying to maximize my freebies. I realized I've gotten pretty good at working the Sephora system and wanted to share! -Do most of your Sephora shopping online. As fun (and time-sucking) as it is to browse in store, you really get more benefits by purchasing on Sephora.com. I've noticed you usually only get free samples in store if you ask for them. But you always get to choose at least three samples online, plus there is always some other promotion going on. Also, the customer reviews are really helpful. Thank God for those people who review products, because I surely don't as often as I should. Shopping in the store wins when you want to sample a specific product. A Sephora employee will give you a little plastic container of the product to take home, which is a fantastic way to find out if a certain foundation, concealer, etc. really works for you on a daily basis. -"Heart" the products you buy often or are thinking about buying. With thousands and thousands of products online, you can easily spend just as much time on the website as you can in the store. It's hard to keep up with all the products you've browsed, so if you even think you might like it, click the little heart and "Love It." This will keep a running list of all of the products you're considering, and you can view that list every time you log in to the website. -Check out travel-sized products and sets. I love me some travel-sized products! I wish every product came in a mini-sized version because A. you don't have to commit to a product you're not sure you're going to like, B. some products take a long time to use, even in small quantities, C. they're cheaper and D. you can carry them on a plane. When you click on a product on Sephora.com, there are often multiple sizes offered, often times a small one. Plus, there is a travel-size section where you can find sets, which allow you to try multiple small products at one time. A great value! Like right now, seriously. When Sephora first started offering this a few months ago, I signed up lickety-split because I thought maybe they had made mistake. It's almost too good to be true. You pay a one-time $10 fee and get free two-day shipping all year on every purchase, no minimum order amount! After just a couple purchases, it pays for itself. Plus you can take advantage of the system a little by spacing out your purchases to get more free samples and weekly specials. -Speaking of, check frequently for those free samples, weekly specials other promotions. The first thing you should do is click on the Weekly Specials tab on the left side of the home page. 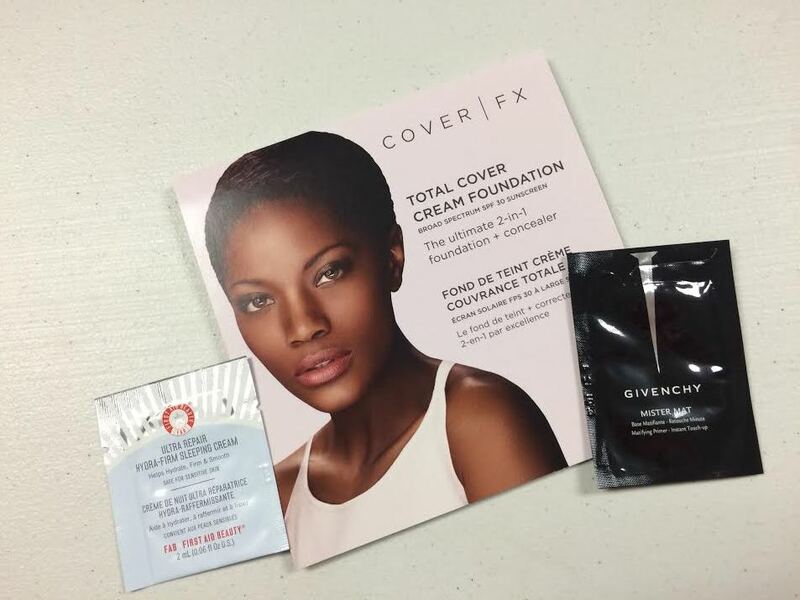 These are the really good freebies! There are often a few weekly specials to choose from and usually they require a $25 purchase. And let's be honest, how often are you spending less than $25? Makeup ain't cheap! 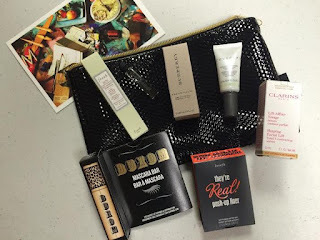 The really, really good freebies are when they're running a special promotion, like the awesome Party Favors one going on now - eight samples inside a clutch/makeup bag! Then, when it comes to the three free samples you get with every order, those change often. So if you don't like any of them, check back in a few hours or the next day. The three free samples I selected with my order. Plus, this Party Favors - Mistletoe Moments set. This promotion is still going on and there are four sets to choose from! -Sign up for Beauty Insider and once your accumulate points, wait for a reward item you really like. This is a no-brainer since it's free. Once you reach 100 points ($100 dollars spent), you'll be able to redeem them in the reward boutique. Like the samples, these also change frequently. (There happen a couple pretty good choices right now.) If you're not loving what they're offering once you reach 100 points, just wait because there's a good chance you'll love something in the near future. There are larger items for 250 point and 500 point rewards, but those are often fragrances, which I do NOT need any more of. So if I accumulate a lot of points, I'll often redeem them for multiple 100 point reward items. Voila! The only negative effects I can see from becoming a master in the art of Sephora-ing, is suffering from Sample Overload Anxiety...which is a condition that occurs when you get anxiety from not being able to use all of your beauty freebies quickly enough. Simple solution, as soon as I start to suffer from this, I get a collection together and give them to a friend at work. Drawer space is then freed up and I can shop guilt-free once again!